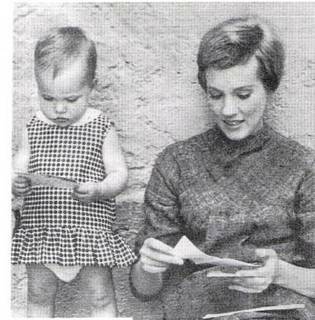 Julie and Her Daughter. . Wallpaper and background images in the Julie Andrews club tagged: julie andrews the sound of music singer. This Julie Andrews photo contains xe ba bánh, đạp ba bánh, xe ba bánh của trẻ con, ba bánh, ba ba,, trike, and velocipede.